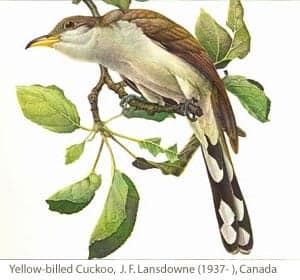 The Pelee Island Bird Observatory » Blog Archive » Yellow-billed Cuckoo painted by J.F. Lansdowne. Yellow-billed Cuckoo painted by J.F. Lansdowne. PIBO image, Yellow-billed Cuckoo painted by J.F. Lansdowne.